Wow, June is just about over! 4CC #357 Crazy Egg/Anything Goes! 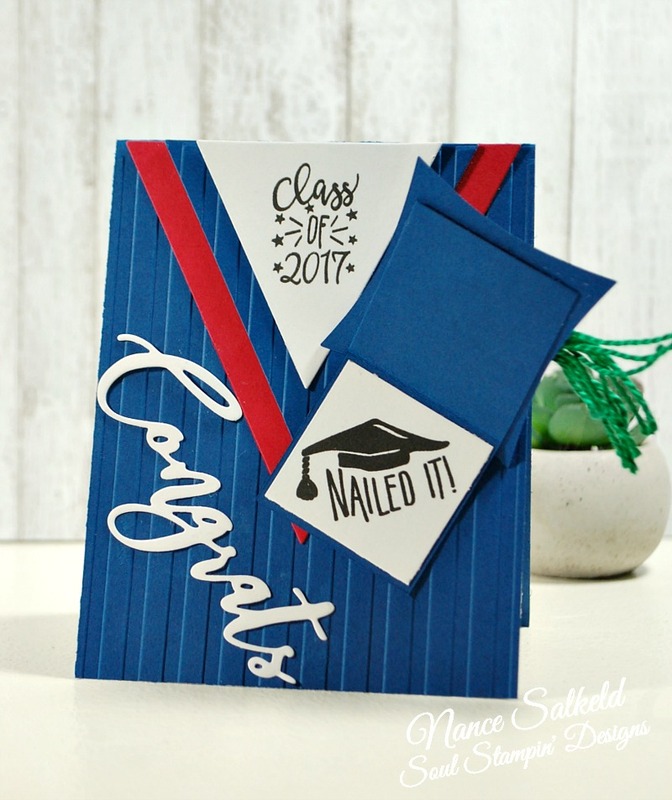 For my card I am sharing a graduation card I made for my oldest son, who received his Master of Arts in History and his graduate hood in May at the University of Central Oklahoma. We are so proud of him and his wife, who received her Bachelors degree in History the same weekend. I made a card to represent his robe and tassel colors. 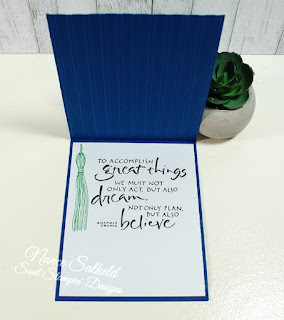 My card uses stamps from Lil Inker Designs, Grad Class Stamps. I used LID's wonky stitched squares for the grad cap. 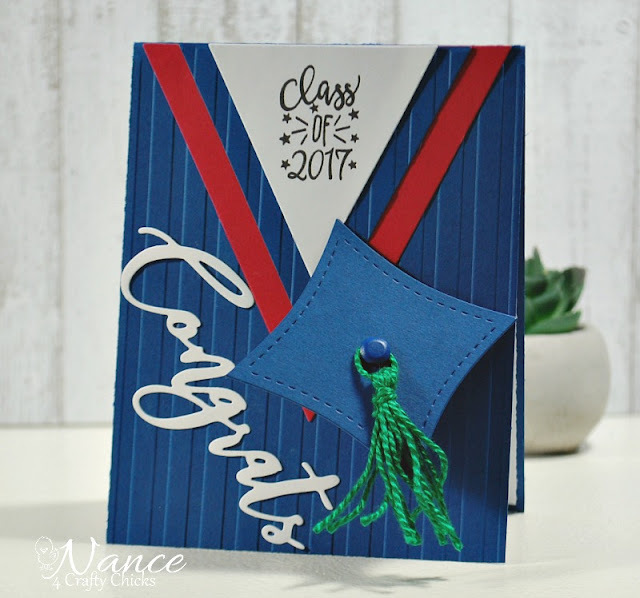 Spellbinders triangles were used to cut the necklines of the "robe" and a striped embossed folder finished off the look, along with green embroidery yarn for the tassel, attached with a brad. The inside sentiment is from G Stamps and the tassel stamp is DRS Designs. The "Congrats" word die is a Catherine Pooler word die. Stop by the Hen House and check out the rest of the ladies' projects, including our Guest Designer, Alicia. This is her last week with us so make sure and give her some good blog love! This is such a special card for a special accomplishment! 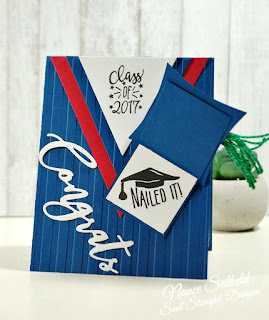 Simply fabulous graduation card...so clever and so perfect! Oh Nance, this is so cool, and what a proud moment for you and your son, wow, congrats to you as well. Way to go! Phenomenal grad card! I love the folder is so perfect for cap and grown. Such a proud moment for you!